Founded in 1833, Batavia, Illinois is the oldest city in Kane County. Once known as the windmill capital of the world, the city has a rich and unique history. Often regarded as one of the best small cities in America, it is a great place for kids and adults alike. When it comes to water conditioning in Batavia, there is one company that stands above the rest: Johnson Water Conditioning Company. Offering top-notch installation, maintenance, and repair, we have been serving the Batavia area since 1936. Give us a call today! The simple truth is that Batavia suffers from hard water. Whether you get your water from a well or from the city, it’s going to contain an excessive amount of calcium and magnesium. Because of this, many Batavia residents choose to install water softeners in their home. 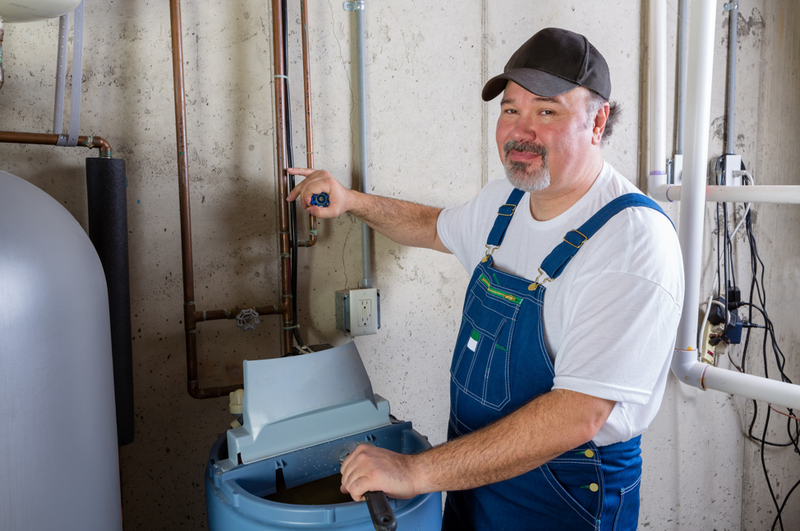 If you’re looking to install a water softener in Batavia, we here at Johnson Water Conditioning are the people to see. We manufacture only the best in water softeners, designing them for both home and commercial use. You can easily discuss your needs by giving us a call today! If you own and operate a restaurant, you know just how important a consistently operating dishwasher can be. Generally, if a dishwasher ceases to operate, the restaurant will struggle to keep up with demand. While there are a number of things needed to keep a commercial dishwasher operating smoothly, perhaps the most important of these things is a hot water softener. Hot water softeners remove all calcium and magnesium from water, taking strain off of commercial dishwashers and allowing them to clean dishes in as thorough a manner as possible. If you’re in need of a hot water softener in the Batavia area, Johnson Water Conditioning has you covered. Reverse osmosis systems make use of several levels of filtration in order to produce water that is highly pure and drinkable. Filtering out everything from minerals, to chemicals, to bacteria, they are capable of providing a steady stream of drinking water in homes and commercial properties. Over the years, the team at Johnson Water Conditioning has installed reverse osmosis systems in countless properties throughout the Batavia area. If it’s reverse osmosis you seek, we’re the people to see. When it comes to well water, special types of water purification might be needed. In Batavia and its surrounding areas, iron filtration systems often become a necessity. Johnson has supplied and installed iron filtration systems for a number of Batavia area residents, helping to eliminate the iron, manganese, and hydrogen sulfide from their water. In doing so, we have also helped them to eliminate foul water odors, water staining, and general mineral buildup. If you get your water from a well, you are at risk of consuming harmful coliform bacteria. For this reason, it’s very important that your water is purified on a consistent basis. One of the best ways to eliminate bacteria in well water is by utilizing a chemical injection system. These systems eliminate not only bacteria, but iron and hydrogen sulfide as well. Johnson offers two types of chemical injection systems: chlorine injection systems and hydrogen peroxide injection systems. Call us today to discuss which is right for you! Whether it be a reverse osmosis system, a water softener, an injection system, or some other type of purification system in Batavia, Illinois, Johnson Water Conditioning Company is the company to call. Featuring a team of skilled, experienced, and dedicated water purification experts, we do everything we can to optimize the quality of your water. Our team would be glad to assist you. For a free estimate, contact us at (630) 832-9393!